Do you create your own world? I’ve always done a lot of yoga. But I’ve never been a huge fan of the growing number of glossy yoga magazines which are hitting the shelves – because quite simply they make my yoga practice feel a bit inadequate! Flick through the pages of any yoga magazine and you will find them full of idyllic images of exotic ashrams, adverts for holistic retreats and features on the latest studios opening up in some fashionable district of London. 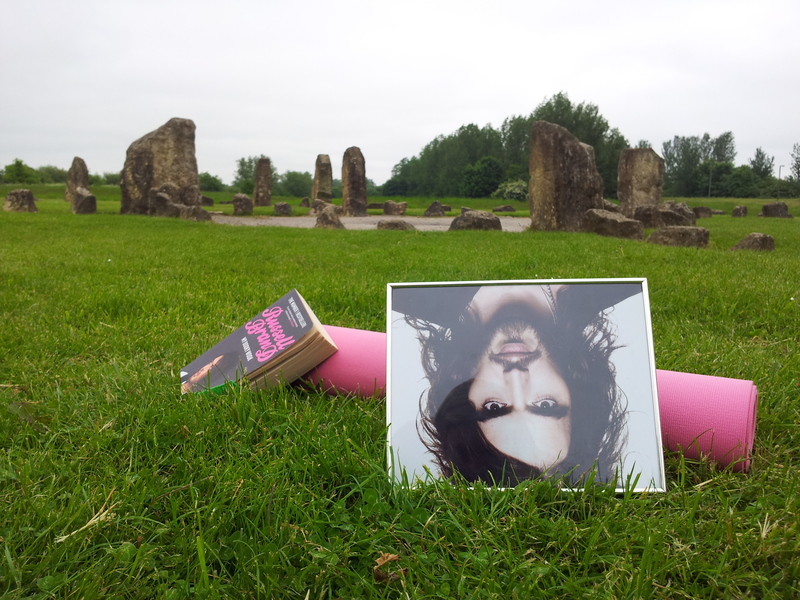 But the reality for me is that yoga practice takes places in decidedly less tranquil surroundings. Occasionally I’m lucky and the local gym has a class I can get to, or I end up having to carve out moments of time in a corner of the living room, in between getting home from work and cooking the kids’ tea. But just because my lifestyle, location and budget don’t stretch to the perfect yogic experience, it doesn’t mean those moments of practice should be any less powerful. A class in a noisy gym pumping out dance music in the next room, or half an hour at home with the kids jumping all around me as I float off in the ‘corpse’ pose can be just as magical as a weekend retreat. It all depends on how I relate to the place I happen to be in! ‘Place’ is about something much more than its physical location. You’ve probably experienced one of those moments where you’ve been struck by the power of a particular place. It might have been the grandeur of a cathedral, the electric atmosphere of a football stadium, or the romance of a country hotel decked out for a wedding. But in such moments it isn’t the physical bricks and mortar of the places which stop us in our stride – it’s everything else that’s bound up in them and the meanings we attach to that. It’s the spiritual history of a cathedral, the expectation and hope of victory in the stadium, and the deep emotion that pulls at the heartstrings when we think of a couple sharing their commitment to each other with friends and family. The same can be said of the place where you practice yoga. Is it a community hall, the local gym or your front room? Is it a place of peace and tranquility you look forward to visiting? Or do you worry every time you enter it whether you will live up to other people’s expectations, or even your own? For each person in a class, chances are they’ll be experiencing a very different place to the person sat on the mat next to them. Place isn’t just a physical entity, it has personal, social and even spiritual dimensions, and being aware of that can help us to understand our place in the world better. Some people live their lives almost completely in the ‘physical’ world – they’re controlled by the physical symptoms displayed by their bodies, and enslaved to the physical world around them, to such an extent that blood pressure can soar the instant a traffic jam appears up ahead. For others they’re bound by social rules, conventions and expectations, and they’ll worry about what will happen if the traffic chaos makes them late for their appointment with an important client. Others will be much more swayed by their personal experience of the world, and the traffic jam can become for them either a one-way street to hell on earth as they beat themselves up with the implications of the delay, or a welcome chance to get lost in a day-dream. For those who like to tap into a spiritual world, this offers up another dimension for them to experience the traffic jam. They may decide the universe has a reason for the delay and will relax behind the wheel safe in the knowledge that this was meant to happen. The word ‘spiritual’ is derived from the Latin ‘spiritus’, meaning breath, air, life. Whatever our religious beliefs, our innate ‘spirituality’ is what animates us, gives us passion and a sense of connection with everything around us. It doesn’t matter if we have no religion, for there are numerous other ways to get in touch with this passion and connectivity – music, dance, poetry, art, are all inherently spiritual things because the act of creation and sharing unites us with something beyond ourselves. Getting back to my yoga, this is also one way some people bring more of that spirit, that life, that connection and meaning into their lives. 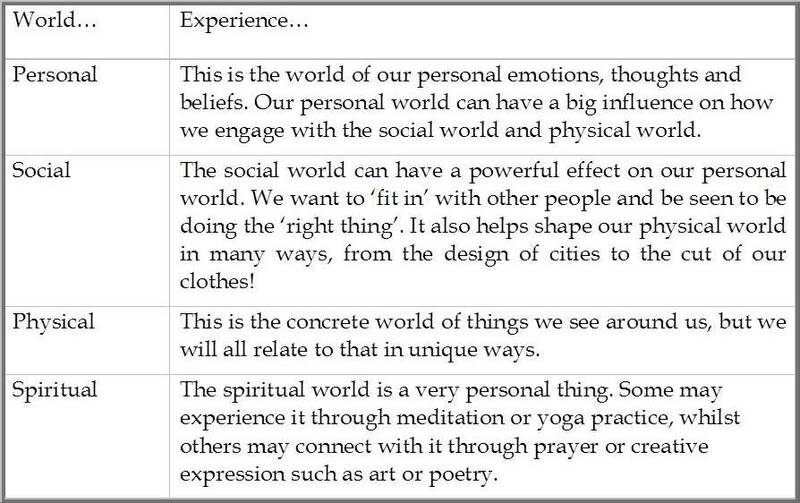 Sometimes that ‘breath of life’ is lost as we get caught up in the demands of daily life, but by being mindful, and by developing an awareness of these four overlapping worlds of experience (physical, social, personal, spiritual), it is possible to shape the world a little more towards where and what we want it to be. Let’s stick with the yoga for a bit. Yoga is often practiced on a mat – for some this will just be a random mat selected from a pile at the front of the class, a physical prop to help make the session more comfortable, a cushion between the soft body and the hard floor. Others will have a very close relationship with a particular mat – when they roll it out on the floor it transforms that space into a very personal and private retreat. Perhaps they might have been given the mat from someone special, and using it forms a bond with that person, or perhaps they might have a designer label mat because how others perceive them seems important. Someone else may have brought a special mat back from a yoga holiday and each time they connect with it they are transported instantly back to that time and place. So the humble yoga mat exists physically, personally, socially and spiritually – and how someone perceives it can have a profound effect on how they experience their yoga practice. So if you practice yoga, or maybe even next time you’re stuck in a traffic jam, and you’re wondering why someone next to you seems able to switch off and you can’t, perhaps it’s time to focus on what you can change about your relationship with the space around you, to make it work better for you. Think about the effect a traffic jam has on you. Do you instantly tense up and start panicking about the delay? What are you worried about? Is it that you may lose your parking space when you reach your destination? Is it because first impressions count and you’re going to be late for an important meeting? Or is it simply because you don’t have personal control over what’s going on and that annoys you? And if you practice yoga, or take part in any other form of exercise which is meant to be enhancing your wellbeing, are you getting the most out of that time and place? Are you constantly distracted by noises, by the temperature of the room or by the over-powering smell of someone else’s perfume? Do you find your focus drifting, and instead of focusing on your technique you find yourself secretly envious of the person next to you, who seems to drift effortlessly through the session without breaking into a sweat? And at the end of class, do you feel good about yourself and able to fully enjoy the relaxation and stretches, or is your mind working against you, turning over that heated conversation you had with your boss or the hurt you still feel from an argument with a loved one? If you catch yourself doing any of these things, remind yourself that you can have a powerful effect on creating the space around you – and that space doesn’t have to be dominated by physical distractions, social expectations or your own personal worries. Refocus on the spirit at the heart of what you are doing – and transform your space into what you want it to be. Think about the world you are creating around yourself, and make the most of every layer of that world, to make the most of every experience. 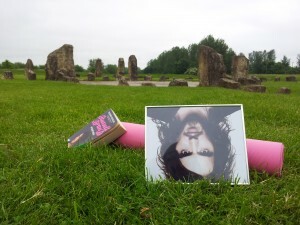 …And if you’re wondering what Russell Brand is doing in this post – well, he loves yoga too. But watch this space for a fuller explanation coming soon…! 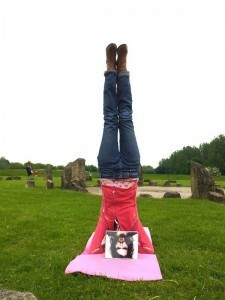 (developed from an article I had published in Om Yoga Magazine, December 2011. pp. 66-67). reading this piece made me realise that I do create my own little world around me never thought of it in the way you have described I learned a long time ago through personal experience’s that you cant control every thing around you and what will be will be ( as my mum used to say ) but am sure I can be more with the space around me if I try. I am glade I have read Everyday Spirituality. I have been able to look at things more thoroughly since my brain injury and don’t seem to worry so much about the outside world in a lot of aspects of life and now very rarely if ever become stressed.